It’s no secret that we love flowers here at Jungle World. Whether you’re looking to brighten up your dull office environment or simply boost your workers productivity and happiness, placing flowers in your office is a great way to boost your business with very little effort. Many people who come to us for flowers for offices already know where they want their floral displays, but are there specific areas that could benefit from having a spray of flowers carefully placed in them? 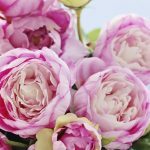 Here are our favourite suggestions for where to place your office flowers to make the most of the benefits that they can offer! As your clients enter your office, you will probably want to make a good impression on them before they’ve even come into contact with your staff. 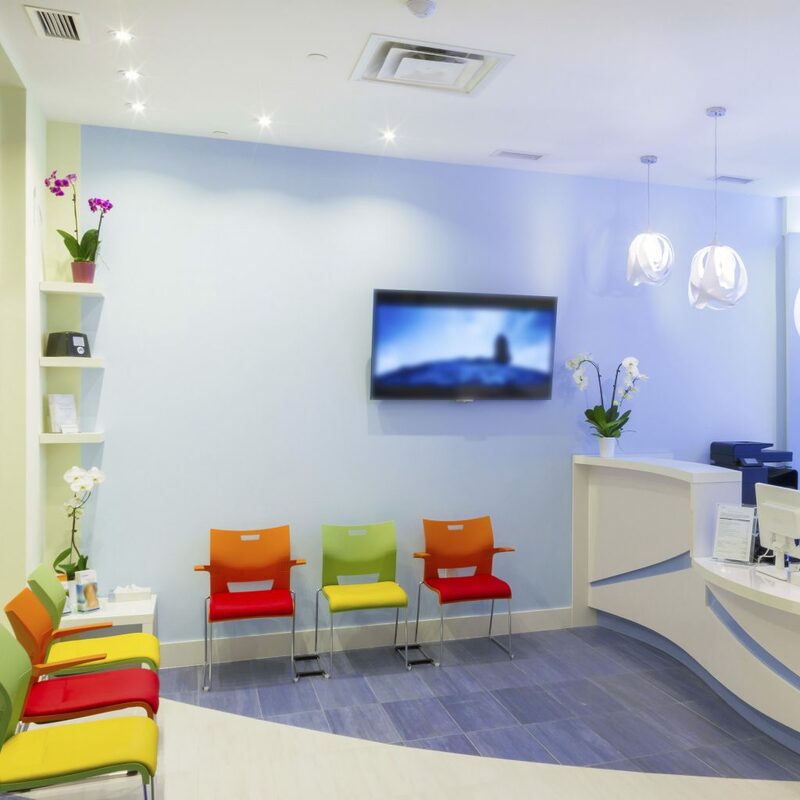 Although you will have probably put a lot of effort into designing your reception area, adding a beautiful bouquet will enhance the impression that your clients will get, simply by looking around your reception area. We would recommend flowers which match in colour to the rest of your reception environment which have a very light aroma to avoid overpowering your clients’ senses. Workspaces can become very dull for many employees, especially when the environment hardly every changes and work days start to get longer. Rather than staring at a screen for 8 hours a day, why not give your employees something beautiful and vibrant to look at every so often in the form of a floral display in their workspace. 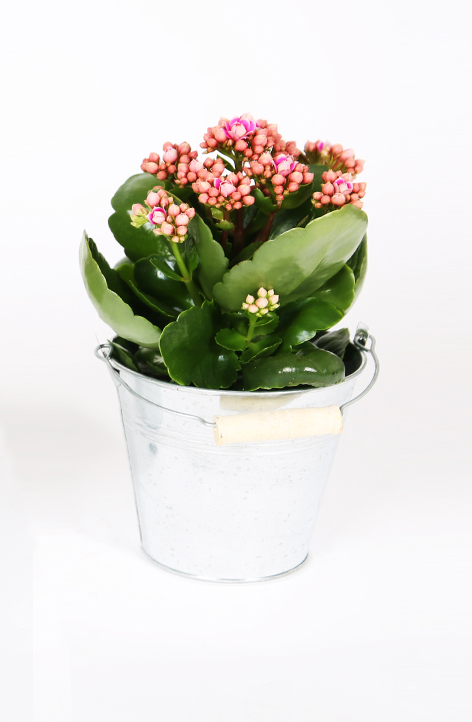 This could be a larger bouquet in the room, or smaller flower displays on each of your employees desks. Again, we’d recommend choosing a display of flowers which have very little in the way of aroma; you don’t want to overload the senses of some of your employees who may have a sensitive sense of smell. 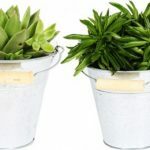 Windowsills generally remain uncluttered in the workplace, but they actually make the perfect platforms for small floral displays as they give flowers access to some natural light, making them last longer. We’d recommend only placing flowers by the window when the weather permits, though. Too much sun can actually make them wilt faster and dry the petals out quicker, so during the height of summer, try to avoid putting flowers on the windowsill for too long. Having flowers in front of the window can also give the illusion of being outside, breaking the boundaries between the building and the outdoors. 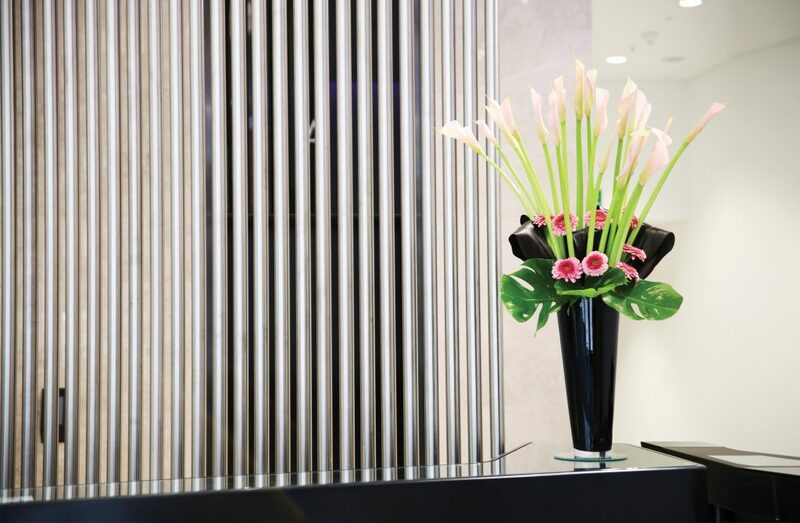 No matter where you place your floral displays, we guarantee that your entire workforce will benefit greatly from having an outstanding floral display in the workplace. If you’d like to brighten up your corporate environment with a display of flowers, don’t hesitate to get in touch with us here at Jungle World. Call our team today on 0208 968 8190 and a member of our professional team will be happy to help you.